Jars of soil from each of the lynching sites at the Legacy Museum in Alabama. A little over a week ago, on April 26, a memorial to the thousands of African-Americans who suffered the horror of death by lynching throughout the southern states of the USA was opened in Montgomery, Alabama. A museum documenting the history of racial terror was opened nearby on the same day. In the museum is an exhibit that has a surprising connection to events that occurred half a world away, in Taranaki, in the late 1800s. Kennedy Warne explains. In 1879, one of the most courageous and creative forms of political protest ever conceived in this country was enacted in Taranaki. 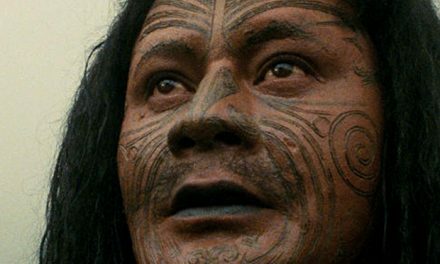 Māori men from the community of Parihaka began to plough up the land of Pākehā settlers. 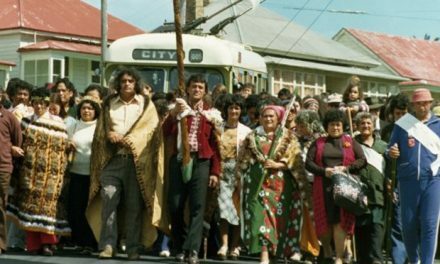 This action, taken under the leadership of the Parihaka prophets Te Whiti o Rongomai and Tohu Kākahi, was the community’s response to the government’s repeated failure to deal honourably with Taranaki Māori over land. In short order, more than 400 Parihaka ploughmen were deported and imprisoned for up to two years — sometimes as far away as Hokitika and Dunedin. Not one was ever tried in a court of law. 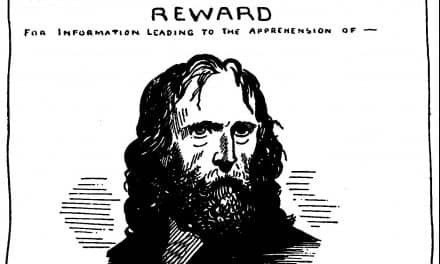 The government found it convenient to suspend the right to a trial and passed a series of draconian laws under the guise of “national emergency” that became progressively more desperate and unjust as time went by. There were also atrocities. When arrested, some ploughmen were tied to a horse and dragged around a paddock. That brutality is remembered in the name Totoia, which means dragging, given to some Parihaka children to preserve the memory of those times. Another name bestowed on children was Ngarukeruke, the discarded body. This remarkable response — the gathering up of blood-stained soil — came to mind when I read news of the opening of the National Memorial of Peace and Justice in Montgomery, Alabama, birthplace of the American Civil Rights Movement. The memorial bears witness to the more than 4,400 African-Americans who are known to have been lynched between 1877 and 1950. It consists of 800 steel pillars inscribed with the names of those to whom vigilante violence was meted out, and the locations where the killings took place. The pillars hang from the roof of the memorial, a stark reminder of the manner in which the victims died. In the associated Legacy Museum, one of the most powerful exhibits is a collection of 300 jars of soil collected by the descendants of lynching victims or by community volunteers from lynching sites in the American South. The jars are lined up on shelves, and the soil inside — yellow, red, brown, black — speaks with silent eloquence of a history almost too awful to recount. Lynching’s reign of terror began just two years before Parihaka’s men set their hand to the plough. And, as with Parihaka, the gathering up of soil where blood has been spilt has been a potent emblem of an injustice that can no longer be ignored. “The carnivals of death where African-American men, women and children were hanged, burned and dismembered as cheering crowds of whites looked on were the cornerstone of white supremacist rule in the Jim Crow-era South,” wrote Brent Staples, a member of TheNew York Times’s editorial board, on the day the memorial was opened. Victims were sometimes doused in oil and burned before being hanged. Many were stabbed, riddled with bullets, and dismembered. One woman, who dared to denounce her husband’s lynching, was hung upside down, burned, and then sliced open so that her unborn child fell to the ground. They were not crimes at all. Rather, they were the crime of being black. More than 100 of the documented lynching victims were women. One, a black schoolteacher in Birmingham, Alabama, scolded a group of white children for pelting her with stones. The children told their parents, and a mob came to her home, burned it to the ground, and murdered her. There was no justice. From 1882 until the 1960s, US legislators introduced more than 200 bills to Congress to make lynching a federal crime, but none of them passed into law, such was the power of Southern legislators, who consistently opposed any anti-lynching bill. In 2005, the US Senate belatedly apologised for its failure to pass such a law, the first time the Senate has ever apologised to African-Americans for anything. But there is still no federal anti-lynching law in the US. One of the most horrific aspects of lynchings is that they were public spectacles. Photographs of lynchings are numerous and grotesque, but are especially troubling in view of the large numbers — often several hundred — of white spectators staring at the camera. Some of those spectators are alive today. When the building of the new memorial was reported in 2015, one man came forward to say that his grandfather had taken him to a lynching when he was six years old. The normalising of racial terror is one of the most appalling aspects of this era of contempt for black life. Even more hideous — almost inconceivably so — is the fact that photographic postcards of lynchings became a lucrative trade. By 1908, the practice of sending lynching photographs through the post had become so common that the US Postmaster General, disturbed by the prevalence of the repugnant practice, banned the cards from the mail. If Twitter had existed back then, I have no doubt that photos of lynching victims — most likely with selfies of the gawking spectators posing next to their broken bodies — would have crisscrossed the internet like wildfire, with hashtags like #lynchingbee or #negrobarbecue — phrases that were used to draw onlookers to public events that were in reality mob murders. The new memorial and museum are the work of a Montgomery-based non-profit organisation call the Equal Justice Initiative. Its founder is Bryan Stevenson, a lawyer who started representing death-row inmates in Alabama 30 years ago. Speaking of the memorial, Stevenson said the intention is not to devastate visitors with guilt and shame, but to suggest a path to redemption. But there can be no redemption without a willingness to face injustice with eyes wide open. Increasingly, I see the word “reckoning” being used to describe the painful confrontation of a history many would rather forget. In so many areas — racial bigotry, sexual harassment, gender discrimination — societies are coming to recognise that without a reckoning, there can be no restoration, no healing. The new Alabama memorial and museum are small steps towards a reckoning. 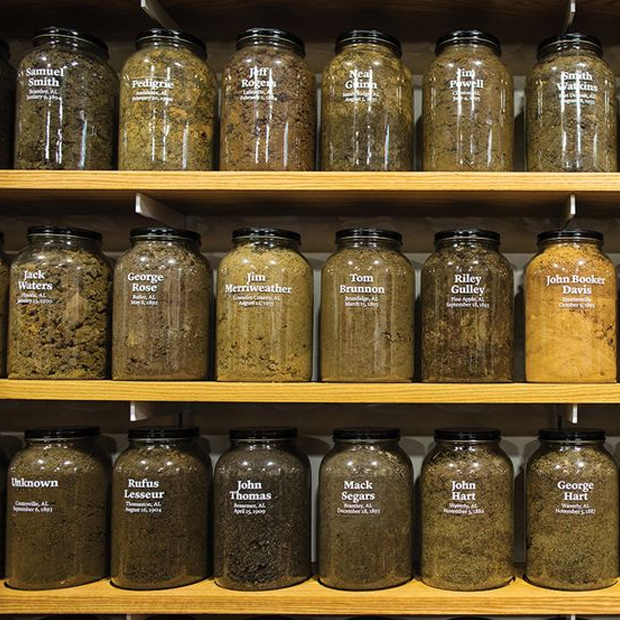 Perhaps visitors seeing those hundreds of jars of soil will begin to imagine something new growing out of the soil of injustice, just as we have seen in Aotearoa New Zealand. 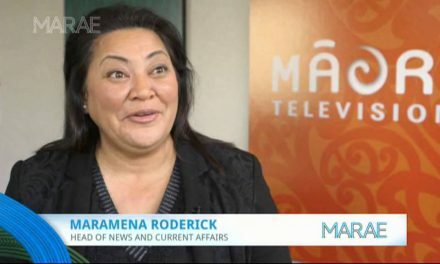 Just as we are seeing at Parihaka, with the passage of a reconciliation bill through parliament — a process aimed at stripping away the bitter fruits of enmity and mistrust, and growing a legacy of hope and peace.